FABULOUS card Lisa, LOVE it!! Hope you and Alexa have a FANTASTIC day tomorrow!! Happy Birthday to your daughter! Have a great day. Happy Birthday, Alexa! Her teacher will love the card with the great wood embellishment and bright colors. Great card and have a wonderful day with your daughter. Your pages are terrific. Gorgeous card. Happy Birthday to your daughter!!! Great card - the washi tapes make a really fun background, indeed. And the LO featuring your daughter currently is really beautiful - that huge doily really draws in the focus and all the layering is balanced perfectly with the photo. A real work of art. Oh, I love how you created the background. I thought that was the paper, not washi. So fun! Have a fun day with your daughter. Kids grow up so fast. It's crazy. LOVE the comparison of your layouts side by side. And you really did such a great job for Doodlebug. 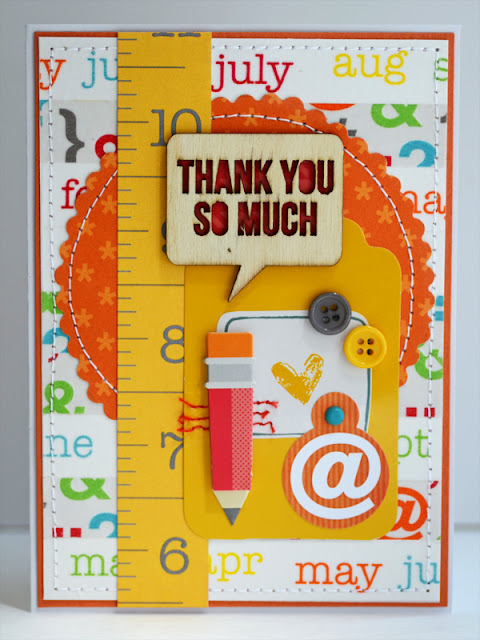 Love your card - great use of washi. Your pages gave me the idea of a comparison page for my almost 10 year old. Thanks for the inspiration! Oh that card is beautiful!! Love! And Happy Birthday Alexa!!! Love seeing the two LO's. Super card! I really love the measurng tape! Huge happy birthday to Alexa! What a beauty! Love this card Lisa!! The date paper in the background is so cute and I love the SC Wood Veneer you used for the sentiment! And Happy Birthday to your beautiful girlie! Fabulous card :) !! and I just love your layout! Fun to see how much your style has changed! Very cool card, love the wood veneer. Also loved seeing the two layouts. 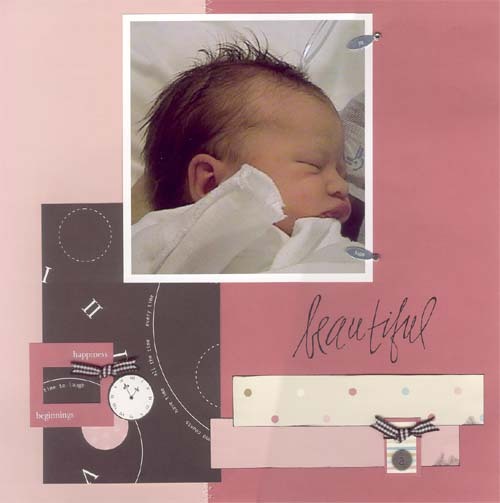 Just like our children grow and change, so does our scrapping style! Happy Birthday to Alexa! I love your Close 2 Twelve layout. Your layering never ceases to amaze me! Love the way you created the background on your card! And Happy Birthday to your daughter! I hope she had a great birthday!!! super cute card!! and yes time goes by so fast. She is a beautiful girl, Lisa!! Oh, great use of washi! Love this card design. So many cute elements. Your stitching around the diecut is so well done. It gives a nice texture and contrast. Beautiful layouts too. A big happy bday to Miss A. What a fabulous teacher card! Love the bright, bold look!!! It’s important to give thanks and appreciate the teachers who are passionate and dedicated to their jobs. Even if you feel you have too much homework and too many exams, take a moment to think how important your teachers are. Without them, you wouldn’t be where you are today!